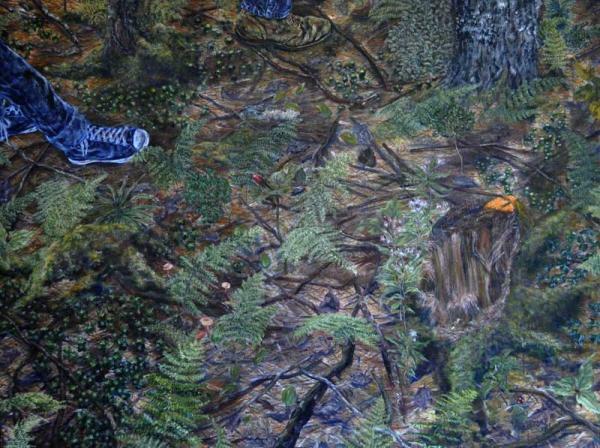 This painting was only a small section of the woodland floor that I concentrated on. Above is the child’s feet following his father along a path. This represents the child learning from his father’s teaching and following life’s lessons.